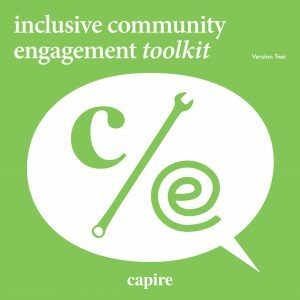 Capire is committed to sharing our learnings and strengthening community engagement practice in Victoria and internationally. We encourage you to download and share our free publications below. 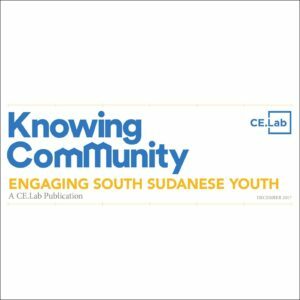 Capire Learning Lab: What is Social Inclusion and how does it relate to community engagement? Every project we undertake lets us further develop our tools and confidence to connect with different groups, and this updated toolkit allows our friends and colleagues to learn from these experiences, ensuring high quality and meaningful engagement practice is widespread. In the new edition we’ve expanded the thinking process to incorporate an iterative approach which looks at meaningfully evaluating and collating your findings through a six phase process: Define, Understand, Design and Implement, Capture, Feedback and Evaluate. We’ve also added new innovative ideas for engaging hard-to-reach members of the community, reflecting current engagement practice. Everyone has a role in community engagement – we should all take a step back and think about what we can share with others to create stronger communities. We hope you find these ideas useful! 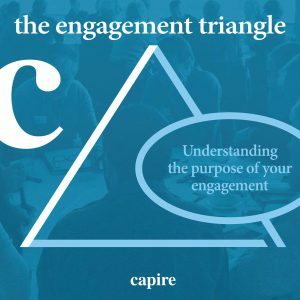 The Engagement Triangle is a spatial tool we developed which identifies desired outcomes of engagement based on the overarching objectives of informing decisions, building capacity and strengthening relationships. Aimed at practitioners and the wider community, the Triangle can be used by teams in early stages of planning to help clarify objectives, map stakeholders and identify appropriate tools/techniques.